Hope you are all having a lovely Sunday! and of course its not just any old Sunday.. It's Mothering Sunday :D so a huge Happy Mother's Day to all the lovely mums out there. I also just wanted to take the opportunity to wish my kind, caring and supportive mum a lovely mother's day. I'm lucky to have such a generous mum that would do absolutely anything for me and my two older sisters! Me and my mum have a fantastic relationship, and with our similar taste in designer goodies, I'm lucky that she always lets me use what I want, and vice versa! My dad is also whisking her away to our place in Spain this week, so I hope she will have a lovely time relaxing. 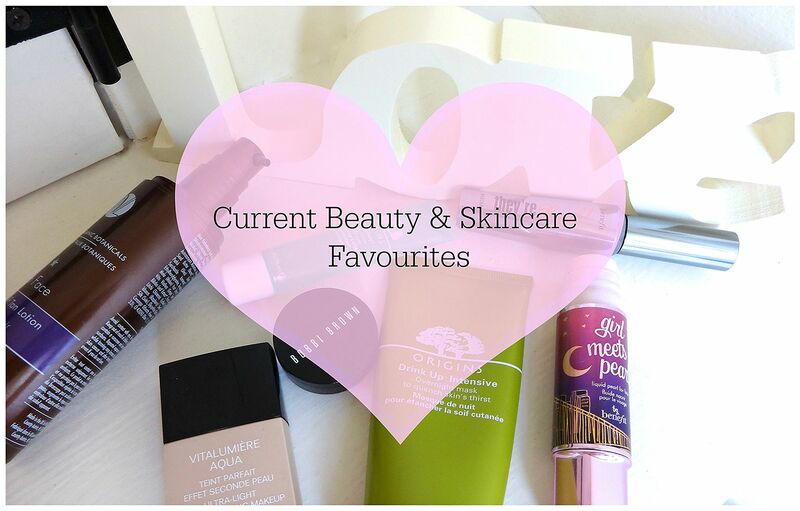 Anyway, lovelies I thought I would post a Current Beauty & Skincare Favourites Post, as it seems like I haven't done one in forever. I think favourites posts are so fun to write, and also fun to read! so I hope you enjoy this relaxed "Sunday" inspired post. I have loads of posts planned for the coming weeks, so make sure you keep checking back... as there could be quite an interesting one for my lovely readers. As always, if you need to contact me for any reason you are more than welcome to contact me via my social media icons, or by leaving your thoughts, questions and links in the comments section down below. The Vita Liberata Rich Face is a lovely face tan that helps you to achieve a subtle sun kissed glow. With the hope of some nice Spring weather in the UK I decided to make a conscious effort to start adding a glow to my complexion. 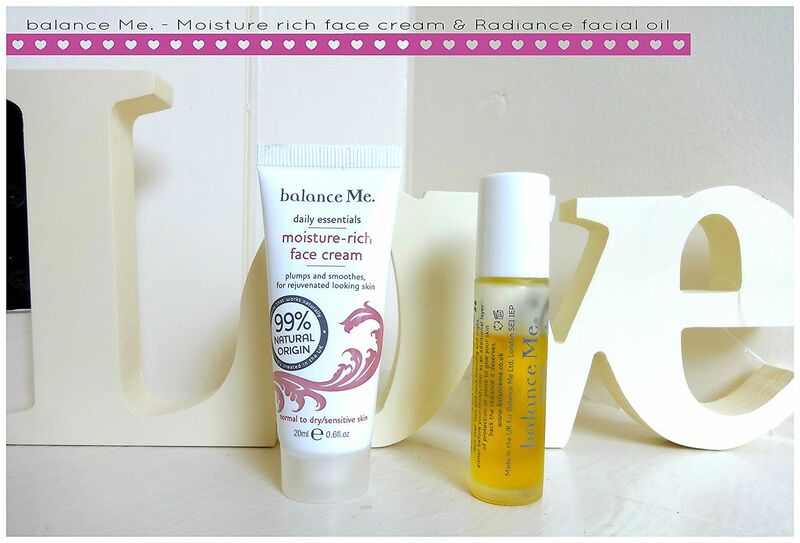 I have fallen in love with this face tan for so many reasons! but I honestly can't stress enough how moisturising this lotion really is. Vita Liberata use Ultra hydrating Moisture Lock Technology with an array of organic botanical's to create a soothing lotion that adds an instant colour boost to the complexion. However, the colour does continue to develop into a light sun kissed glow throughout the day. Another fantastic thing about this face tan is the fact that it contains Odour Remove, which means that it does not smell in the slightest! I call that a tanning result haha. If you are looking for a streak free and buildable face tan.. then this is definitely worth checking out! I pretty much always profess my love for this foundation, and after 8 bottles I'm sure you lovelies will understand its a firm favourite for me haha. I have recently done an updated review, which you can check out here. My Origins No Puffery Roll On has pretty much been a life savour for me the past few months! I work in an environment where I always need to check a computer screen, and on top of that I'm a blogger and a business student. Half the time my eyes feel tired, puffy and irritated and No Puffery is the only thing that actually really works to help cool and de puff. A lot of eye cooling treatments are only really good for de-puffing, but No Puffery uses Yeast Extract to brighten the look of dark circles as well. I have tried all of the fabulous highlighters from Benefits impressive range, but Girl Meets Pearl is the highlighter that has really impressed me the most. I would describe this as being the baby of Benefit's Moonbeam and Sunbeam, as it combines both Gold and Pink pigments. I much prefer to work with liquid highlighters, as I feel they look more natural. I sometimes mix a hint of this with my foundation if I'm looking for a little extra luminosity! and I definitely think this would suit a lot of skin tones. After my up and down relationship with Bobbi Brown products, I have finally found something that I can't be without. The BB Corrector is absolutely fabulous for correcting any pesky discolouration, but the most impressive part of this product is its amazing concealing properties. I do love the BB Creamy Concealer, but after using this I find half the time I don't even need it. I will definitely be re-purchasing this little lovely, and would definitely recommend it for anyone looking to cover up any discolouration. I hope you have enjoyed today's post lovelies, and I would love to know if you plan on trying or have already tried any of the products featured in this post. I really do love hearing from you, and I'm sure I'm not alone in saying that receiving a comment notification in your inbox is one of the best feelings ever for a blogger! I hope you have had a great week so far ? I have been feeling quite unwell the past few weeks, so I have decided to go to the doctor's to get some blood tests sorted out. I have so much going on at the moment, and feeling so tired and lethargic all the time is making things so much harder. To be honest I just think I need some sunshine haha! but its better to be safe than sorry I suppose. Despite feeling a little under the weather, I have managed to create a file to keep all of my blog stuff organised! cute organisation is definitely the way forward haha. I'm also in the process of doing the same for my uni work, as I always feel so much happier in myself when I know whats going on with everything. Anyway lovelies! today's post is going to be about a product that I fell in love with a few months ago. 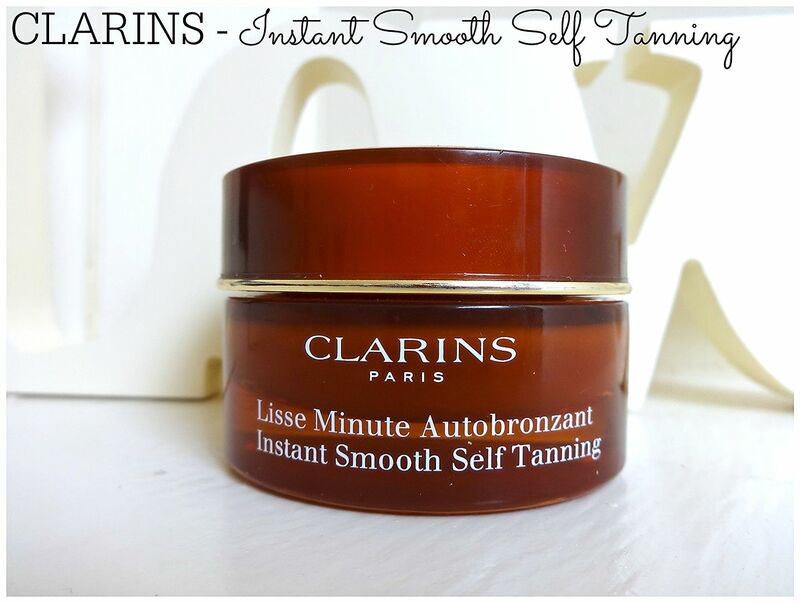 I purchased the Clarins Instant Smooth Self Tanning a few months ago, and even though I really enjoyed it.. for some reason it just slipped out of my everyday routine (Perhaps I just got lazy haha). So when I rediscovered this product from my collection it wasn't long before I fell in love with it again. I was actually looking to purchase another primer, and when I realised I had four already I decided to be good (for once) and carry on using one I already had. I hope you enjoy this review lovelies, and as always if you need me for anything then don't forget to leave your questions, thoughts and links in the comments section down below. All the wonderful skin care benefits of our 'best-selling' Instant-Smooth Perfecting Touch, with one extra advantage. The silky, lightweight mousse melts into the skin for quick and easy application. Lines and enlarged pores are instantly smoothed away .The complexion is left looking radiant and later develops a subtle healthy glow. With regular application, the tan intensifies but always with a subtle, natural-looking colour result. A perfectly perfected, primed, tanned and cared for complexion ? sounds perfect right! 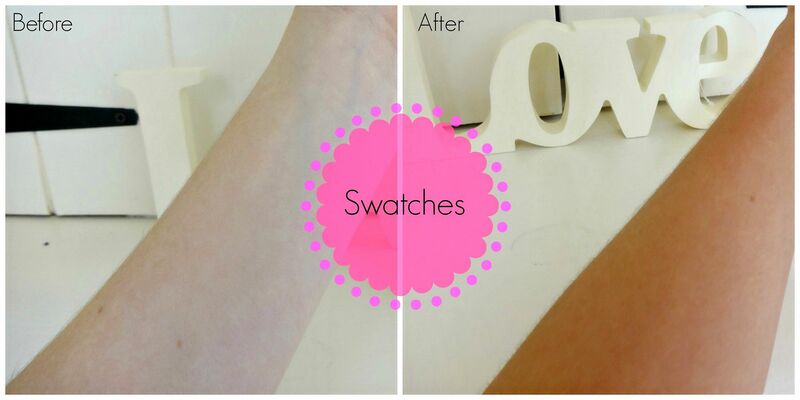 well this is exactly what the Clarins Instant Smooth Self Tanning offers. If you have used Benefit's POREfessional then this is the less drying version, with the added bonus of a little self tan too! 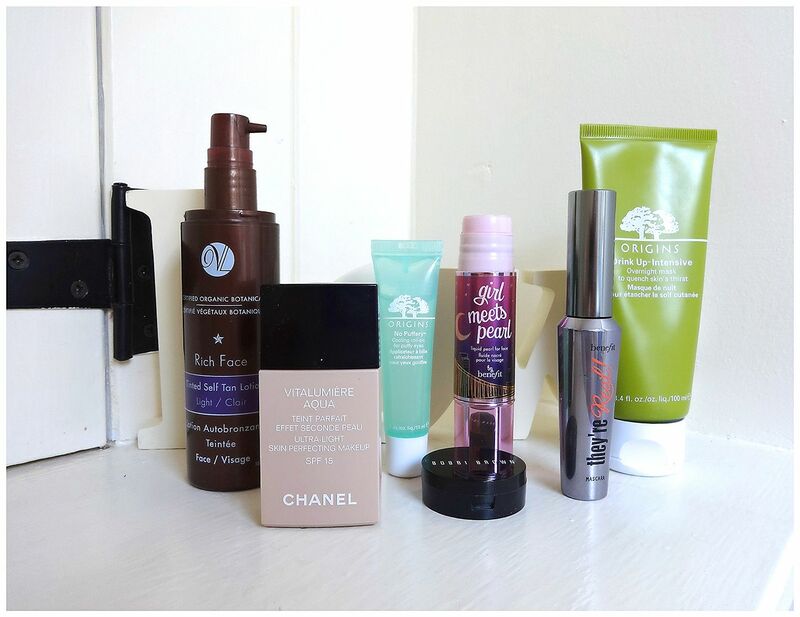 - It has been highly recommended by the lovely Vivianna Does Makeup, and I'm also a huge fan. Firstly, it comes packaged in a beautiful luxe glass jar! a touch of luxury is always a nice thing haha. I also love the fragrance, it kind of has a really light a fresh caramel scent if that makes any sense at all (describing scents has never been my strongest point haha) The texture of this product is best described as being beautifully soft and lightweight. It seamlessly covers any enlarged pores and uneven areas to leave your skin feeling like you wish it always would! - It instantly gives your skin a lovely "glow from within" kind of look, and then it continues to develop throughout the day leaving you with a super healthy and lightly bronzed complexion. Moving onto its fantastic priming properties! where do I start ? 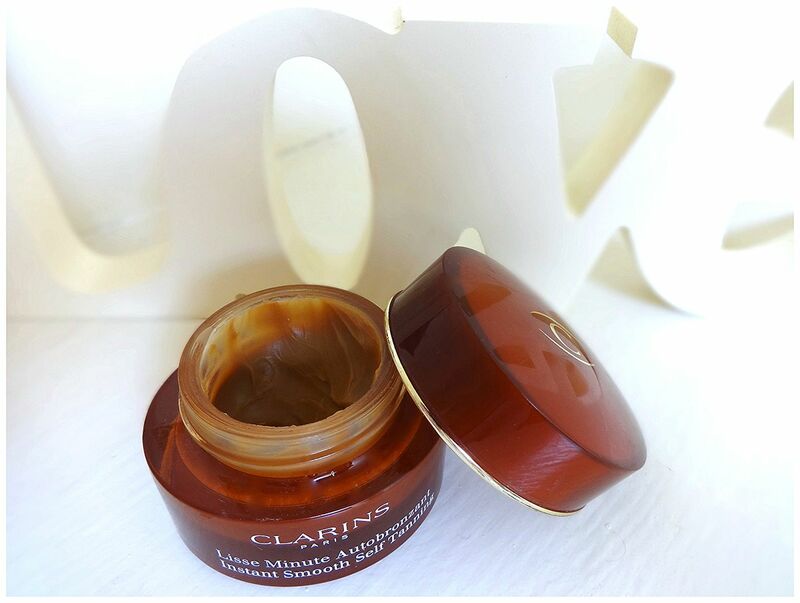 It is basically the same product as the Clarins Smooth Touch Primer, which is a firm favourite in the blogosphere, as well as winning many awards. I didn't really pay attention to its priming properties when I first started using this in October, but after 5 hours of wearing my make-up yesterday I took a mirror and looked up close to my skin, and couldn't believe my eyes. My make up still appeared perfect, and I couldn't see any uneven areas or enlarged pores! usually towards to 5-6 hour mark I find my make-up starts to look a little tired. However, I can hand on my heart say I genuinely had a shock when I looked in the mirror to see a smooth and radiant looking complexion. If that isn't enough it also has skincare properties, and uses Acacia micro-pearls to trap in moisture which means you shouldn't experience any dryness with this product. This product will also be highly suited to lighter skinned ladies, as the end results are so natural and non scary! I also think this is good enough to even skip foundation on a "good skin day" I'm in love! There definitely isn't anything bad about this product! but I always try to make a few recommendations, just so my lovely readers know exactly where they stand with a product. Firstly, even though the scent is lovely it might not be to every ones taste, so its always worth checking it out at a counter before purchasing if you know you are a little sensitive to particular fragrances. Secondly, the tan this product gives is quite light, and simply might not be enough for some people. The shade does become deeper if you use it every single day, but I still find the colour to be a more healthy "glow from within" kind of shade opposed to a typical "tan" look. If you are looking for a product to improve the overall look of your complexion then this could quite possibly be it. 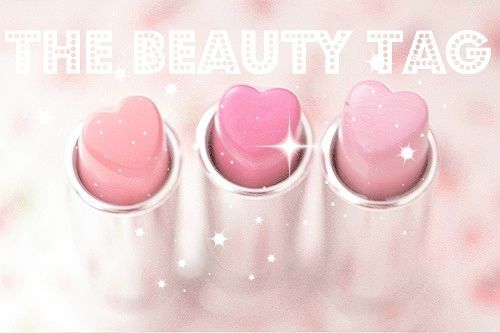 It perfects, primes, moisturises and adds a subtle glow to your skin all in one! don't be put off by the caramel colour, as the end result is truly natural. I would really recommend this product, and for £19.00 I think its quite well priced, as you only need a pea sized amount each time... plus it does so much to help improve the overall look of your skin. I hope you have enjoyed today's post, and I really love hearing from you all.. so don't forget to leave your questions, thoughts and links down below. PS Lovelies - I have also introduced three simple advertising packages to my blog, which you can check out here prices start from £3.00 If you are interested and you can e-mail india504@hotmail for more info and special offers. I hope you are all doing really well ? - Today I have been working at the spa with my lovely spa girls, and I managed to get half a day due to some commitments. I'm actually starting back my uni work soon, and I'm kinda stressing about how I'm going to balance university, blogging, work, working for my dad and also my personal life! I will do it, but I'm a natural worrier.. so sometimes I can work myself up way more than I need to. I have been thinking about what to post this weekend, but after a recent blog comment it suddenly come to me! I haven't done an updated review post on my beloved Chanel Vitalumiere Aqua Foundation since like 2012 when i first started blogging properly. 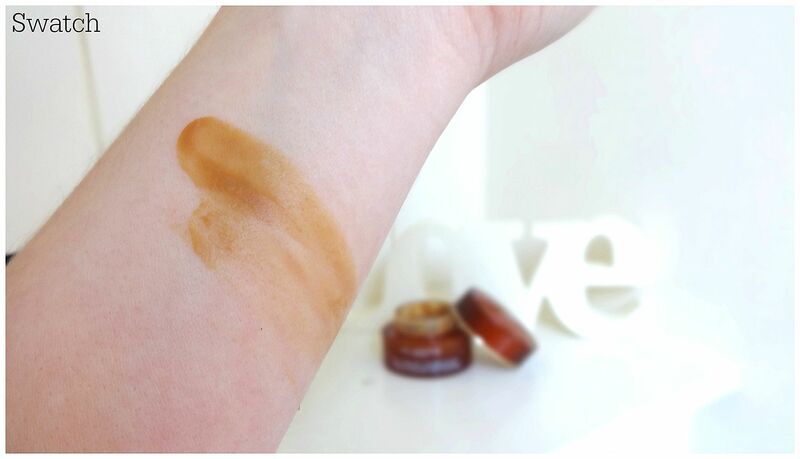 I have had a few requests to do an updated post on this foundation, especially as I spend half my time rambling on about how much I love it and how many bottles I have used haha. I hope this post is informative for you lovelies, and as always if you have any questions then don't forget to leave them in the comments section down below. If you are looking for a quicker and more direct response you can always use my social media icons to get in touch, just under my picture! You know that friend or person in your life that you know in and out and have such a great relationship with... well thats me and my Chanel Vitalumiere Aqua Foundation! ( I can't believe I'm comparing this foundation to a friend haha) I am just starting my 8th bottle, and I love it just as much as I did when I first tried it. Don't get me wrong I do go in and out of using this foundation, especially when I find other great foundations like the NARS Sheer Glow for example. However, nothing keeps me coming back for more like this one does! I have decided to try and do a more organised review for this product, as I could ramble on about this foundation and tell you stories about it for days haha. 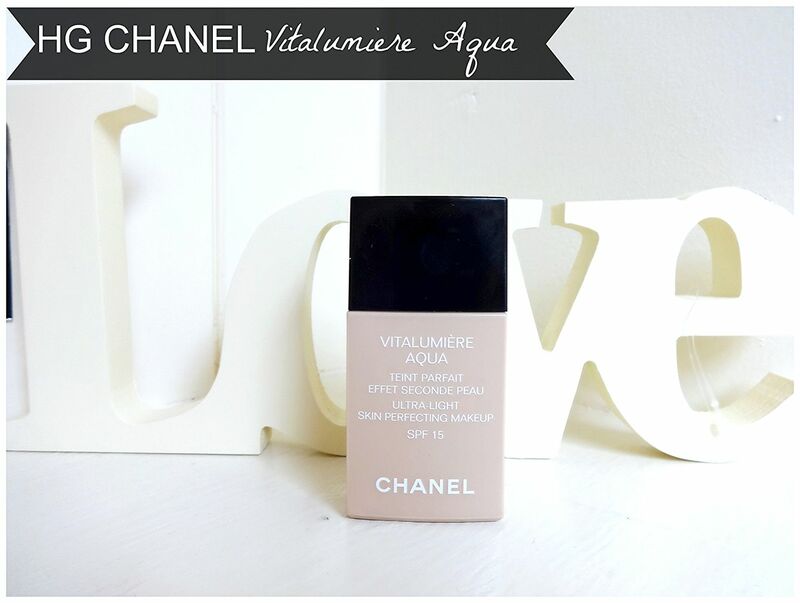 The Chanel Vitlumiere Aqua foundation is a water based foundation that offers a incomparable second skiing result. It has a semi-matte finish, with an SPF of 15 to help protect from damaging sun rays. This is definitely a "skin perfecting" light coverage foundation, but it still has enough coverage to cover up redness and minor marks. I love this foundation all year round, but in the summer it gives you just the right "breathable" coverage (with the added bonus of a little SPF too!) - I would also say its suitable more the majority of skin types... but perhaps not for majorly oily or majorly dry. Chanel are quite famous for their "fresh floral scent" that they add to a lot of their formulations. I am used to it now, but if you are really sensitive to scents then I would 100% recommend checking it out at a counter first. The good thing is the floral scent vanishes not long after applying the foundation, which is good if you are a little worried about being sensitive to the fragrance. I go between B20/B30 and I have included both swatches in the image below. 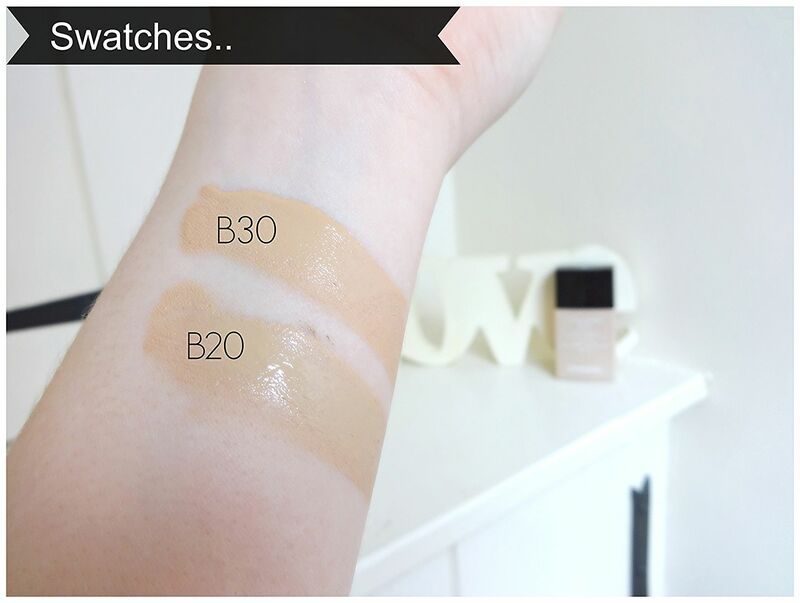 They are both very similar actually, but B20 is a lot lighter than it appears in this swatch until it oxidises, and then it almost turns into B30! - I have found that B30 doesn't really oxidise in comparison to B20 (on my skin anyway) I use B20 in the winter as its a fraction lighter, and then B30 in the summer. 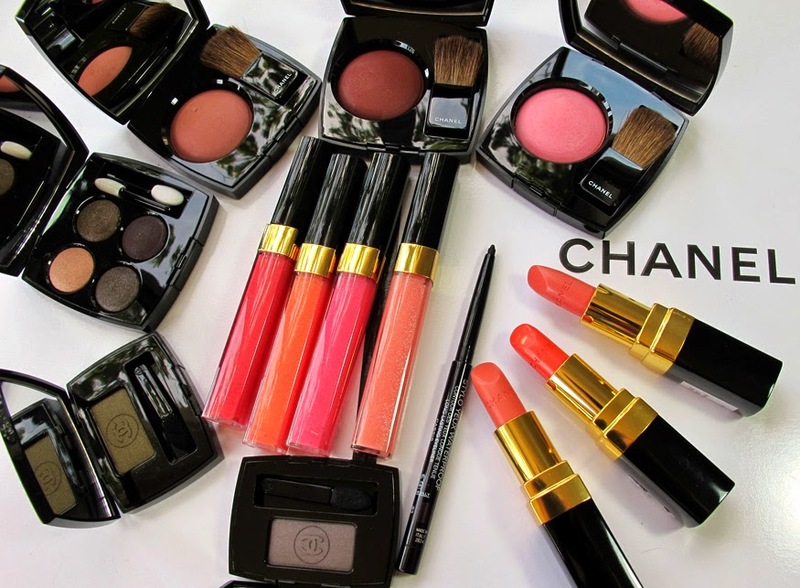 The "B" range is the neutral shade range that Chanel offer, which I think is suitable for all undertones as it helps to even out your tone overall. I have added some of my other foundation shades, just in case you are having trouble deciding. This is a beautiful foundation! and the only one I have ever found that has offered such a fresh and breathable finish, with the added bonus of good coverage. It literally defines "second skin" in foundation talk, and I think it is suited to a lot of skin types. It is on the lighter side of the coverage scale, but it still covers up redness and minor imperfections with a good 6 hour staying power. If you are sensitive to fragrance then I would recommend you visiting your local counter. Also if you are a fan of the "make up" look then I would probably give this one a miss, and opt for something with a more medium/full coverage. I hope you have enjoyed this post my lovelies, and I look forward to speaking to you soon! don't forget to leave your thoughts and links in the comments section down below. 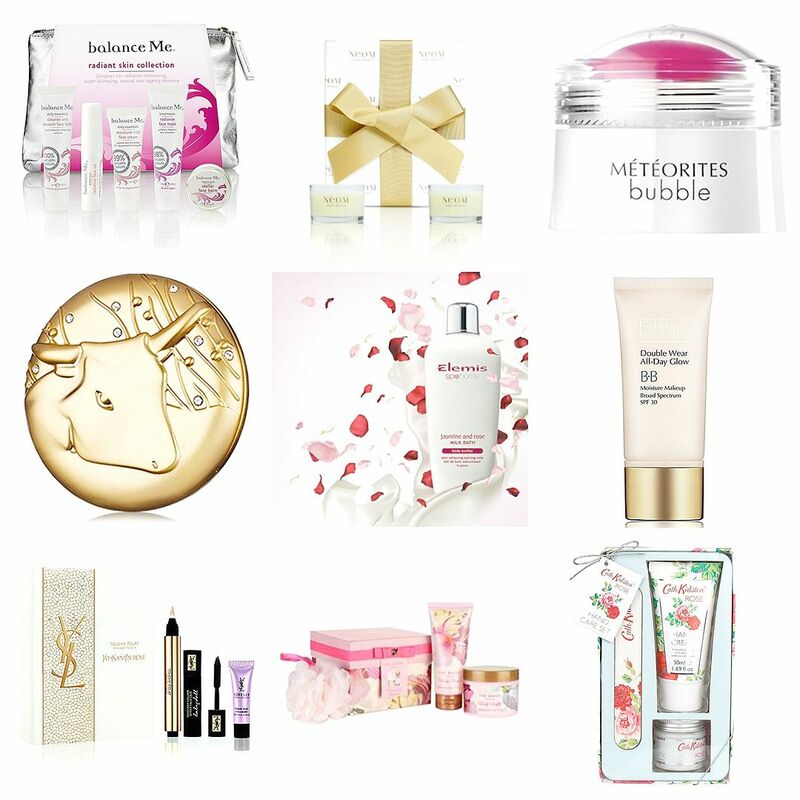 PS - A massive welcome to my blog if you are visiting from tonights #bbloggers chat! Honestly, I can't even begin to explain how excited I am about today's post. I have mentioned on and off the past few months about a planned spring clean for my blog, and finally it has taken place woohoo. I have been working with the lovely Felicity from "Pursuit Of Felicity Designs" who I must say is absolutely amazing. She has previously worked on my blog and my business, which is in the process of being re branded. If you are looking for a blog or business design, I would really recommend Felicity as she works so closely with you to ensure that the final product is perfect. Her prices are also fantastic in comparison to other designers, so I will leave all of her details at the bottom of the post. Anyway! here is to the unveiling of my new blog design, which has been inspired for my love of the classic Chanel quilting. I have made a few other changes like the colour palette, a new signature and a few more bits and bobs just to tidy up my blog a little for 2014. I did debate changing my header, but after having it hand drawn for me I have decided to keep it as it is really personal to me. Jewel is my middle name, and of course I love Jewels ;) and my header features two of my handbags, and lots of makeup! I just couldn't bare to get rid of it haha. I hope you like my blog "spring clean" and I would really love to hear your thoughts down below. I have decided to include a short "Get to know me & my blog" style TAG for my readers old and new. I have been lucky enough to gain lots of new readers, and its really important to me that all my readers have a little personal connection with me and my blog. I started blogging because I have always known that I have had a creative streak of some sort, but I couldn't do the typical things like singing or drawing ( I can't even draw a straight stick man)haha! and don't even get me started on singing! So when I realised I was good at writing I think blogging came naturally to me. Then when I fell madly in love with makeup I started looking at reviews on the Internet, and realised I could do this too! - I originally started a tumblr blog called "the price of beauty" but after getting quite a few negative "anon" comments it really affected my confidence, as I was around 15/16 at the time. 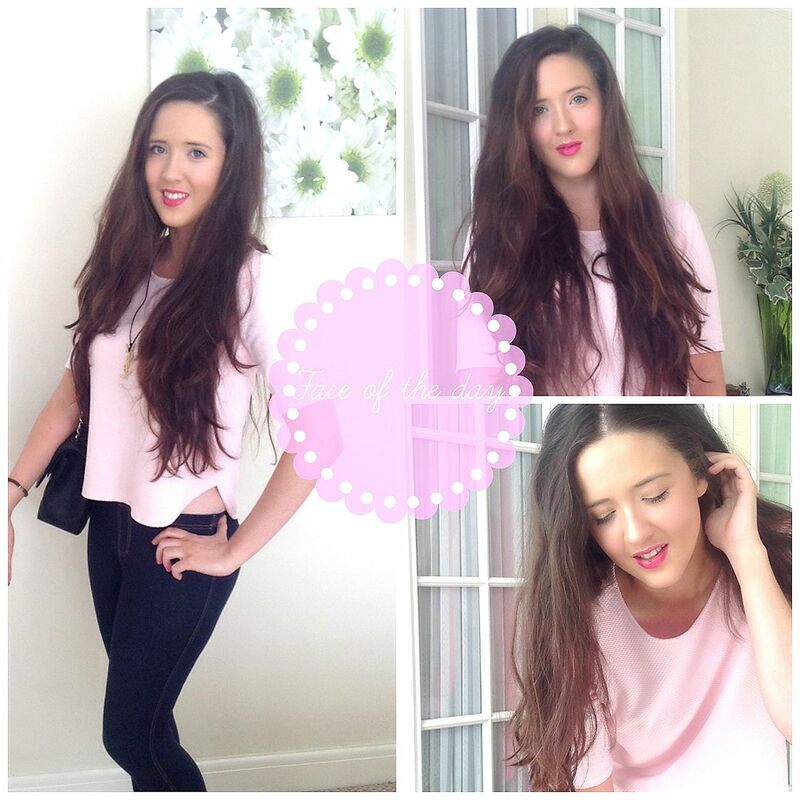 In 2012 I realised how miserable I was without a blog, and I started the Jewel Beauty Blog. It has been a completely positive experience, and again I have made friends for life. There will always be ups and downs, but i'm wiser now and will never give up something I love again. Where did your blog name come from ? Jewel is my middle name and I love beauty! I really wanted to add a personal touch to my blog, so adding my middle name was the perfect way to do that. What can your readers expect from your blog ? Plenty of in-depth reviews haha!! I get so many personal messages and blog comments about how in depth my reviews are. I always make sure I write about the good and bad, as I like my reviews to be as honest and reliable as possible. For example even if I like the scent of a product, I will try to explain it in as much detail as I know some of my readers might not have the same taste as me. I am trying to make my blog more diverse as well so expect more FOTD, OOTDS'S and Lifestyle inspired posts. A message to your readers old and new ? A massive thank you to my readers who have been with me from the very start. When bloggers message me with positive feedback, it honestly makes me feel so happy inside. I also want to say a massive hello to my new readers, and I hope you enjoy reading my blog. I always try my best to help out new bloggers, as I remember the days when I wasn't sure of what I was doing.. and all I wanted was a blog comment haha! I will always help and give advice, as well as trying to RT links and help out where and when I can. Wow! that was a long post haha :) I hope you enjoyed it though lovelies, and I hope you like my new layout. Don't forget to leave your thoughts and links in the comments section down below. I hope you are doing well! I am finally back to my normal happy self as all the problems I have been having are slowly getting resolved. I actually feel so proud that I have come out of the last few weeks with such a positive mind set. I also think this little bit of sunshine we are having in the UK has helped to make me feel a little more chirpy haha. It's also the first time I have been able to drive home with my roof off on my car since I got it last September, so that was pretty fun too. Anyway, I have decided to do a face of the day post for you lovelies, as I haven't done one in so long! I feel like I'm little miss reviewer haha. I'm not actually doing or going anywhere that exciting today apart from food shopping at Sainsbury's, so I haven't made too much effort with my hair or outfit. However, I fancied showing you the kind of makeup look I'm going for at the moment, which is typically natural on the eye and striking on the lip. I actually used my Ipad to take these pictures today, as my camera was in the car (naughty blogger) but I hope they are okay enough to give you the general gist of today's look. I hope you will enjoy today's more relaxed and chatty post, and if you would like to see more then make sure you let me know in the comments section down below. 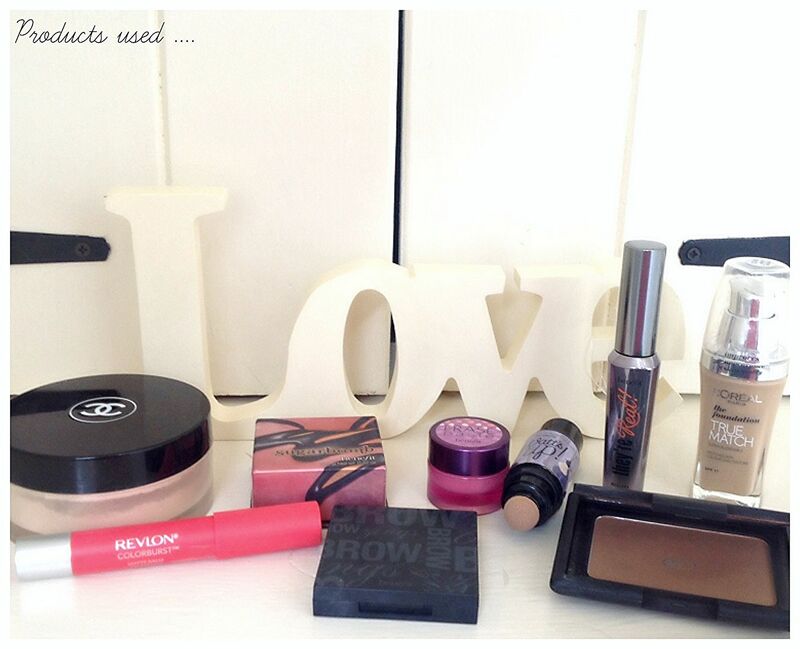 After writing this post its safe to say I'm having quite a Benefit Makeup Day haha! I hope you have enjoyed this post lovelies! I am actually in the process of planning some exciting changes for my blog.. so make sure you keep checking back to see how its progressing. I absolutely love hearing from you, and each comment sticks a smile on my face from ear to ear! Hope you are all doing well! I have been enjoying a couple of days off work, as well as attending some quite exciting meetings and a spot of retail therapy yesterday. I'm pretty excited at the thought of a new property development project, as I am going to be doing a lot of work for it which will give me some amazing work experience. I will definitely keep you lovelies updated, and I'm currently preparing a little haul post for you lovelies to see, so make sure you check back for that. Today’s post is going to be about a fabulous new tanning product that I have discovered, and I can assure you it’s a little gem haha. 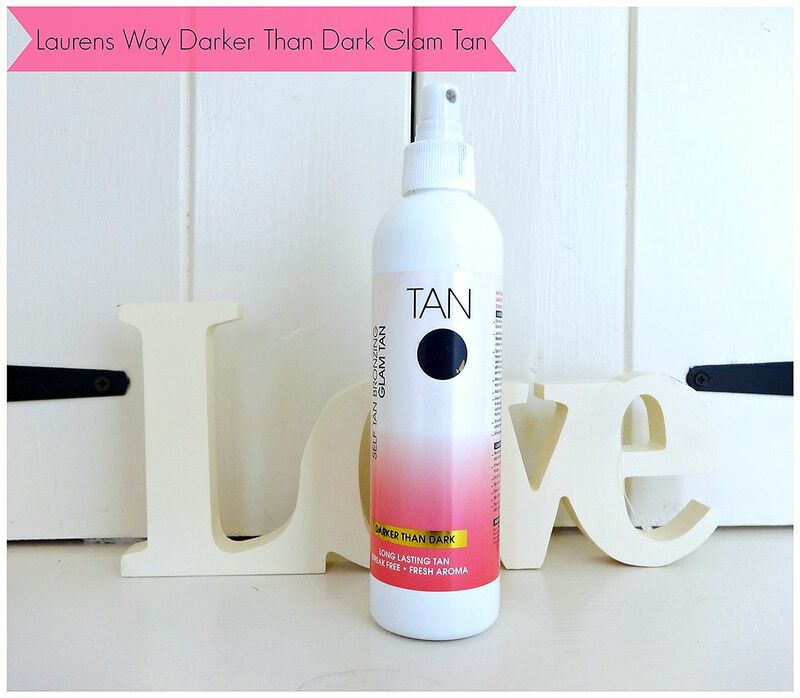 The beauty and tanning brand Laurens Way was created by Lauren Goodger who you probably recognise from the Only Way Is Essex (Aka TOWIE) I think Lauren has done so well and used her time in TOWIE as a positive experience to help create a business and future for herself outside of the hit TV show. I’m very supportive of women making their way in the world of business, as I’m also an aspiring businesswoman myself. Not only has Lauren created a beauty and tanning brand, but she has created a brand that has become very successful in a short space of time, which is really inspiring. The New Darker Than Dark Glam Tan is a long lasting/quick drying spray formula that can be used on both the face and body. The spray bottle allows for a easy and even application, allowing you to enjoy the benefits of a spray tan from the comfort of your own home. The Darker Than Dark formula provides a gorgeous, deeply bronzed colour in just one application. I have previously used brands including, Xen-Tan, St Tropez, Vita Liberata, NIP+FAB and few more, and the LW Darker Than Dark Glam Tan definitely rivals if not betters them in my opinion. It does give quite a deep bronze colour, as you can see from the swatches below. However, because it applies so evenly it does look a lot more natural and wearable than you might think. I also love the fact that it doesn't smell at all! my boyfriend hasn't complained once about this time (and that's a first haha) another great thing about this tan is that it has a great guide colour, which helps to stop any cheeky little tanning mistakes. The only disadvantage is the packaging, as the logo and writing on the bottle easily rubs off. Whilst testing this tan out, I was actually travelling a lot between my boyfriends house and my house, so when I was able to get the time to take pictures the bottle looked a little well loved haha! However, I honestly wouldn't let this get in the way of buying the tan again, especially for just under £20.00 its a bargain in comparison to some Vita Liberata and Xen Tan. If your a fan of the spray tan effect which I am, then you will love this tan as it really does give you a deep, even and smooth looking tan. After trying out this tan it has definitely become my tan of choice, and the fact I can tan without my boyfriend moaning at me is a huge bonus haha. It offers the same high quality results that you would associate with more expensive tanning products from Vita Liberata and Xen-Tan for around £8-10 cheaper. I would recommend this more for people who have had some practise with tanning and the techniques to achieve the best results. If you are a little unsure with tanning then Laurens Way also has some other alternatives that will offer a more subtle colour.